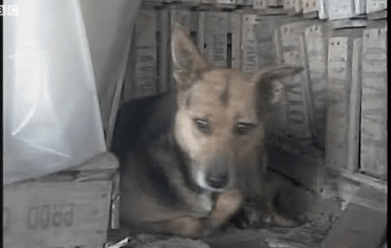 Forget saving Timmy from a well — this little Argentine street dog saves a newborn baby. Beat that, Lassie. An eight-year-old dog has touched the hearts of Argentines by saving the life of an abandoned baby, placing him safely alongside her own new puppies. The country’s media are calling him “the miracle baby”. He was born prematurely to a 14-year-old girl in a shanty town outside the capital, Buenos Aires. She is said to have panicked and abandoned the boy in a field, surrounded by wooden boxes and rubbish. Then along came La China, reports say, the dog which somehow picked up the baby and carried her 50m to place him alongside her own puppies. The dog’s owner reported hearing the child crying and finding him covered with a rag. The baby, weighing 4kg (8lb 13oz), had some slight injuries, but no bite marks. The downside is that the sudden fame and attention has made the dog understandably nervous. Her owner says she’s not eating, and he’s worried she won’t be able to care for her puppies. Here’s a video clip of the story.